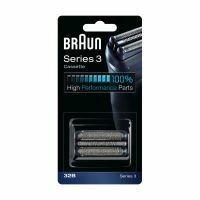 The Braun Series 3 340s-4 shaver with Wet and Dry functionality - it could be submerged in 5 meter deep water without a problem. Which means you can comfortably rinse it under running water for easy cleaning. The Specifically designed to be used also in the shower and with foam or gel. 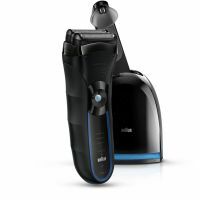 This gives you a refreshing shaving experience without compromise in shaving performance. The Series 3 comes with an advanced Series 3 display - precise charging, battery (3 levels) and foil replacement indication. 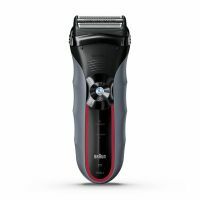 To Recieve updates and possible rewards for Braun 340s-4 shaver please sign in. To Recieve updates and possible rewards for Trimmer, Clipper & Shaver please sign in.